If you have come to this page you have at least been interested or curious about how to live with a dog. The ideal reason would be to get information and set up a plan on how to live with and train a puppy that you are thinking about getting. This is the best scenario to put you on the right path to a happy and fulfilling life with your future best friend. You may have a puppy or a dog and maybe you are experiencing some issues or simply would like to do some obedience training. You may have an adult dog who is too hard to handle and even on the verge of hurting you on a simple walk, either from pulling you or reacting to various situations. 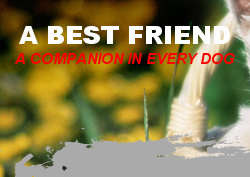 Whatever the reason A Best Friend Dog Training can help you to shape your dog into the companion you would like.